652 cc / 39.8 cub in. Front Wheel Travel 270 mm / 10.8 in. Rear Wheel Travel 270 mm / 10.8 in. Front Wheel 1.60 x 21"
Rear Wheel 2.50 x 18"
Castor 118 mm / 4.6 in. Length: 2205 mm / 86.8 in. Wheelbase 1500 mm / 59.1 in. Dry Weight 144 kg / 317 lbs. Wet Weight 156 kg / 344 lbs. Reserve Approx 2 Litres / 0.5 US gal. Top Speed 162.9 km/h / 101 mph. 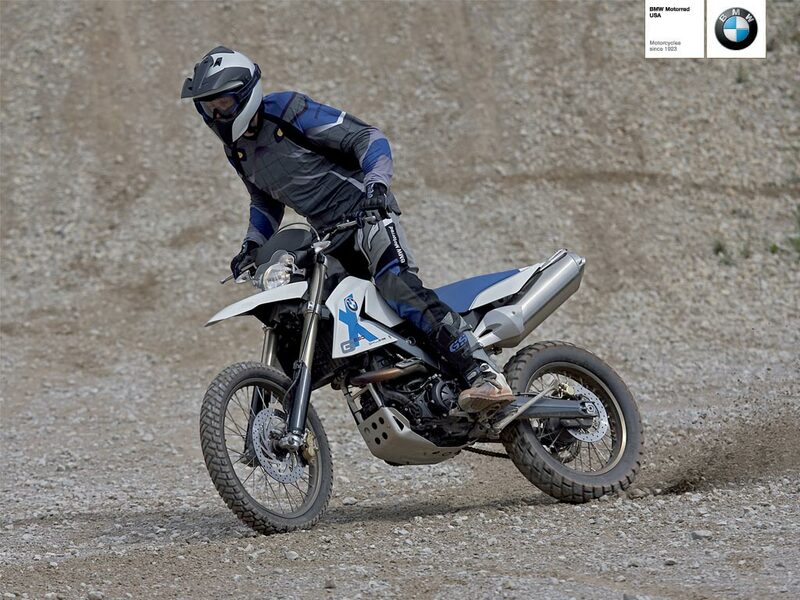 In its design, the BMW G 650 Xchallenge is dominated by proportions typical of a genuine Enduro – a high-lying, but smooth and flat flyline merging directly into the high and slender rear end to offer the rider the ideal seating position. Made of fracture-proof and elastic plastic (mainly polypropylene), the fairing components both light and robust are likewise ideal for tough offroad requirements. The front wheel cover is fitted directly to the lower fork bridge, giving the front wheel superior smoothness and running freedom under all conditions. The slender fairing, in turn, gracefully takes up the asymmetrically contoured headlight featuring a reflector in free-form design. Positioned off-centre, the parking light, finally, helps to provide that typical look of BMW Motorrad further enhanced by paintwork in Aura White and the Blue seat. 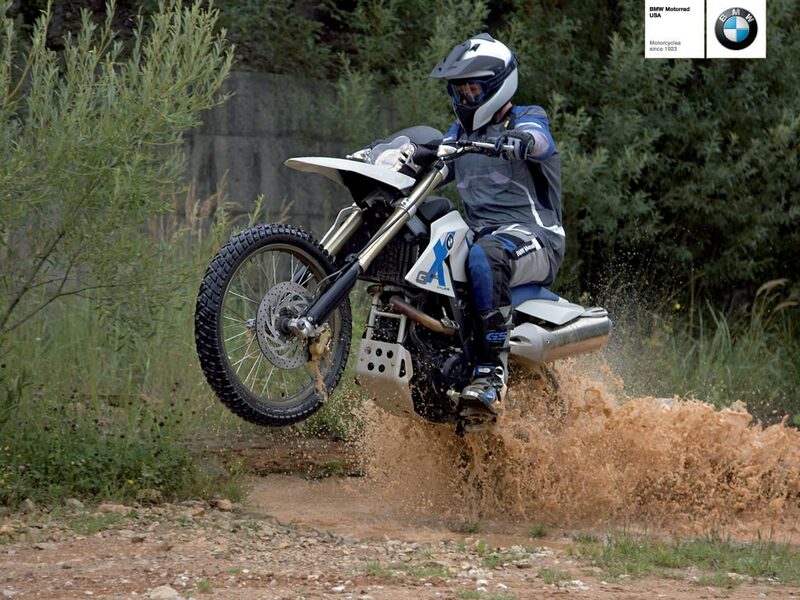 Benefiting from 270 millimetres or 10.63´´ spring travel both front and rear, BMW Motorrad’s new Hard Enduro will easily take on any challenge off the beaten track. Tube diameter of 45 millimetres or 1.77´´, in turn, gives the upside-down telefork enormous overall stiffness, allowing a handlebar lock of 40°. The springs and dampers are all specially tuned for offroad use, meeting the highest demands in every respect. As a function of his own weight and personal preferences, the truly ambitious Enduro rider is even able to fine-tune the dampers on their inbound and rebound strokes, the adjustment mechanisms offering predetermined rest points for smooth, consistent adjustment. Again in the interest of minimum weight, the wheel axle measuring 20 millimetres or 0.79´´ in diameter is drilled hollow on both the front and rear wheel. 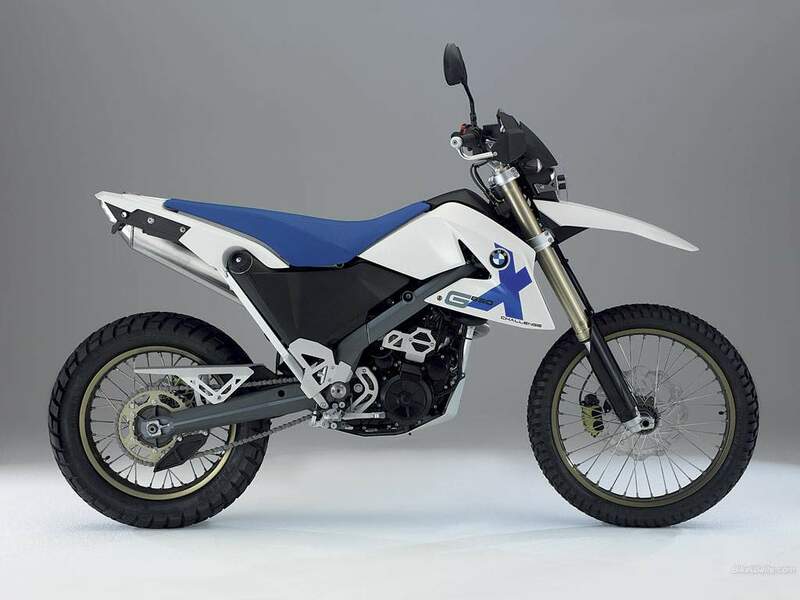 The rear wheel suspension also allows various adjustments and set-ups, albeit of a very different character: Like the BMW HP2 Enduro, the BMW G 650 Xchallenge features the BMW Motorrad Air Damping System, a special spring/damper system operating exclusively with air. 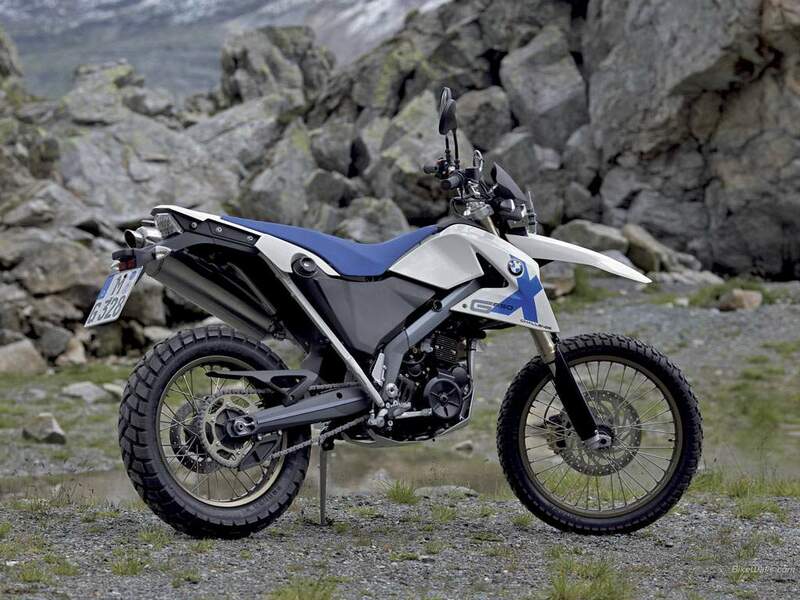 In its configuration and functions, the Air Damping System is the same as on the HP2 Enduro and has merely been adjusted in terms of weight and its running requirements. The BMW Motorrad Air Damping System comes with a piston inside, similar to the configuration in conventional spring struts. Instead of hydraulic fluid, however, this system forces out air through plate valves into a second chamber, the damping effect being achieved by throttling the flow of air. “Natural” progression of spring rates under high load (with growing pressure within the system). Reliable and smooth operation minimising the risk of the suspension giving way (physical law of gases: pressure increases as a function of temperature). “Natural” progression of the damping effect under high loads (the viscosity of air increases as a function of temperature). Resistant to overheating (no temperature-induced weakening of the damping effect under high loads). Simple option to adjust the dampers to the load carried. Low weight of the entire system and its components. 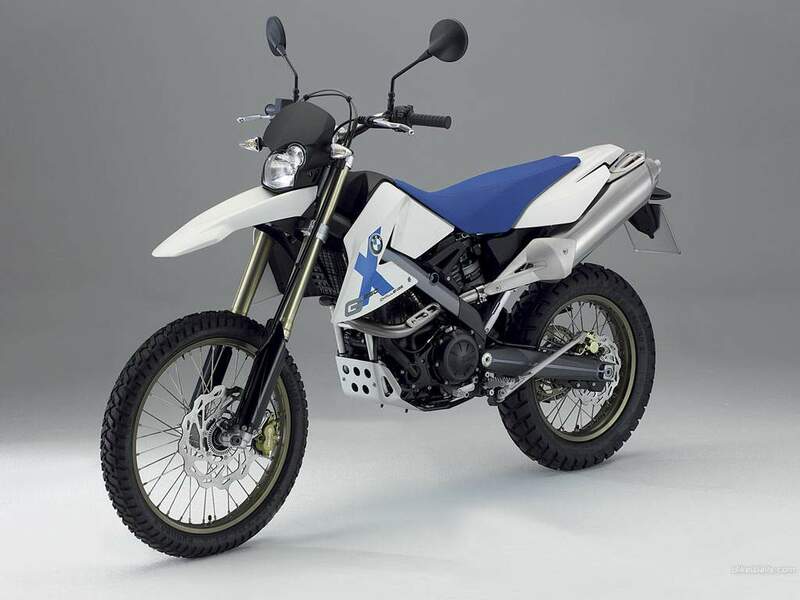 Individual adjustment and set-up of the suspension matched to the rider’s weight and the load carried by means of a water level presenting the normal position and trim of the motorcycle. The reduction in unsprung masses also improves spring response and traction on the rear wheel. To the outside, the spring strut is sealed hermetically and is therefore protected from contamination, with any losses caused by leakage being set off by filling in air through a valve. The system adjusts very easily and conveniently to different load conditions simply by varying the pressure filling. And to pump up the system while travelling, the rider has the option to use a hand-operated high-pressure pump fitted beneath the seat of the G 650 Xchallenge. A feature unique to this air spring damper system is the choice of frequency related damping achieved by varying the inner flow system together with the throttle openings. And an important effect achieved in this way is much better traction of the rear wheel on bumpy, undulating surfaces: The damping effect can be appropriately adjusted in the frequency ranges typically encountered on the rear wheel swing arm as a result of bumpy surfaces, the wheel thus following any such bumps in an ideal motion, maintaining optimum ground contact at all times. The result is even better grip and traction when accelerating all-out, as well as extra safety when applying the brakes. Any risk of the springs sagging and giving way, as is often the case on long, undulating surfaces and under high loads, is largely excluded by “natural” adjustment of the spring rates in the air springs together with the frequency specific damping effect: An adjustment bolt opening up a bypass in the damper enables the rider to pre-set the damper characteristics to two stages for either more comfortable riding on regular roads or for a firmer set-up on offroad terrain. It almost goes without saying that the wheels and tyres also meet the typical requirements of offroad riding. Due to their better elasticity, spoke wheels come as standard on the BMW G 650 Xchallenge, offering all the features of lightweight technology. The wheel hubs made of aluminium are hollowcast and are connected to the epoxy-plated aluminium rims by extra-strong wire spokes. To build up sufficient stabilising gyro-forces also on difficult and slow trails, the G 650 Xchallenge comes with a front wheel measuring 21 inches in diameter and running as standard on a 90/90-21 tyre, while at the rear an 18-inch wheel running as standard on a 140/80-18 tyre allows the use of specialised offroad tyres whenever required. Measuring a significant 300 millimetres or 11.81" in diameter at the front and 240 millimetres or 9.45´´ in diameter at the rear, the brake discs – and indeed, the entire brake system – are conceived without compromises for handling high loads. Apart from saving weight, the cross-drilled Wave brake discs on the G 650 Xchallenge have a better self-cleaning effect than conventional discs. And while the front wheel disc runs within a double-piston floating calliper configuration, the rear disc is held tight when required by a single piston floating calliper. With its 15-tooth pinion and a 47-tooth sprocket, the G 650 Xchallenge has a shorter final drive ratio than the other two models in the new G 650 X model range.